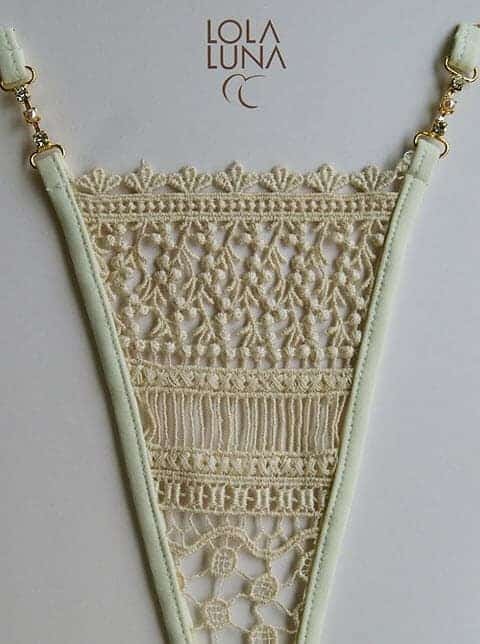 Lola Luna Classic, elegant and special gstring in cream coloured lace. Features fine detailing and jewelled enclosures, with finished back. Lola Luna Agatha a classic, elegant and special gstring in cream coloured lace. Features fine detailing and jeweled enclosures, with finished back.